Mr Bailey, Bath – BA1. 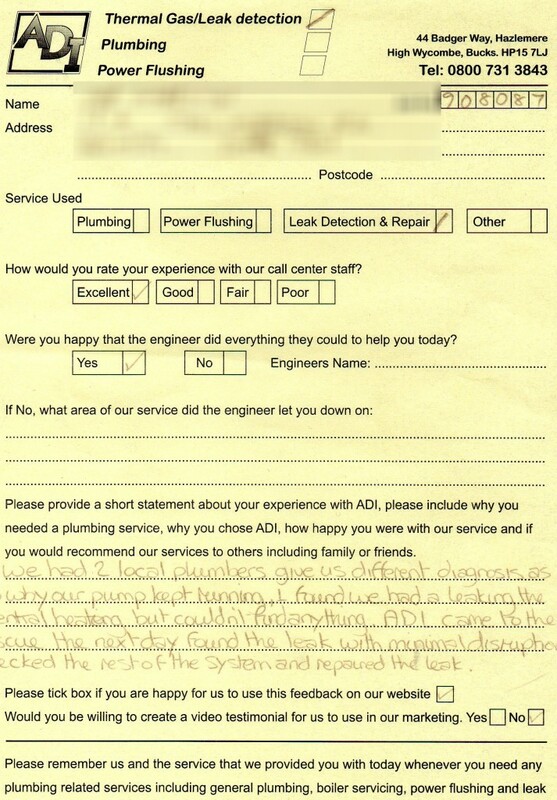 I Needed to detect a water leak and have it repaired. 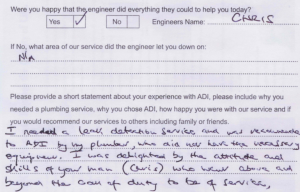 Vincent was engaging and professional and used thermal imaging to quickly locate the problem. He exposed the problem in a screeded floor + effectively fixed the problem. He Checked and drained the heating system in the house, used hydrogen to verify that there were no further leaks. He left the house in the same condition he found it. A through and complete job. 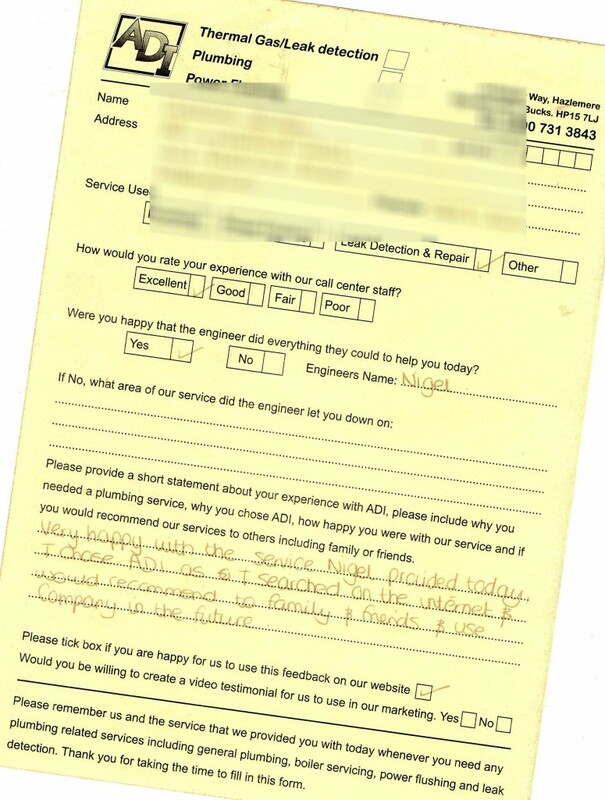 “We has 2 local plumbers give us different diagnosis as to why our pump kept running, 1 found we had a leaking in the central heating but but couldn’t find anything. 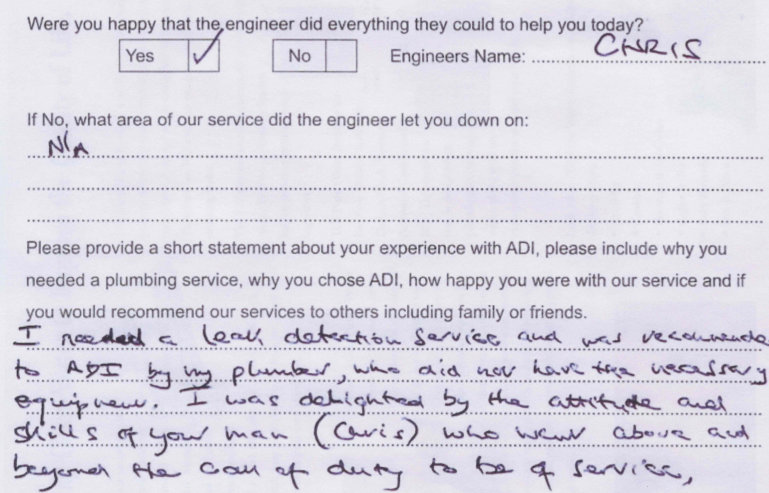 ADI came to the rescue the next day & found the leak with minimal disruption, checked the rest of the system & repaired the leak. 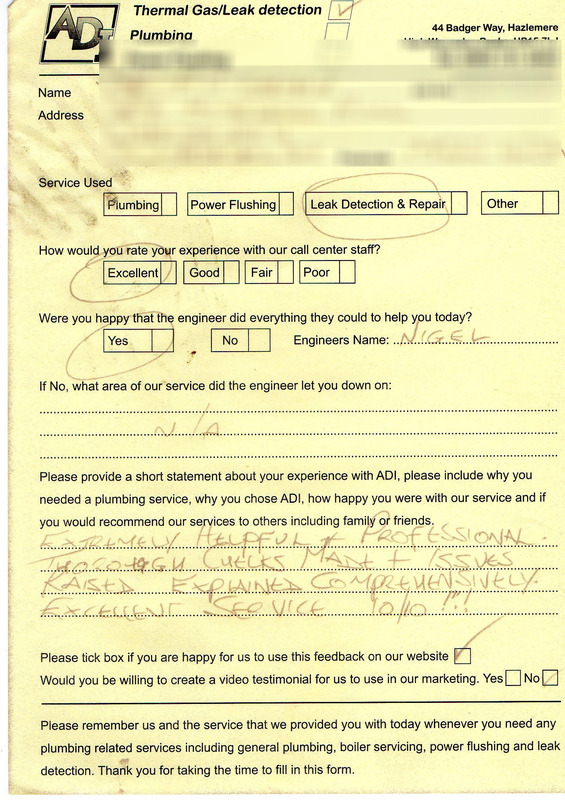 “Adam was very thorough, helpful and clearly very knowledgeable. Would highly recommend this service. L Hooper – Guildford, Surrey. J Hammond – Leighton Buzzard, Bedfordshire. 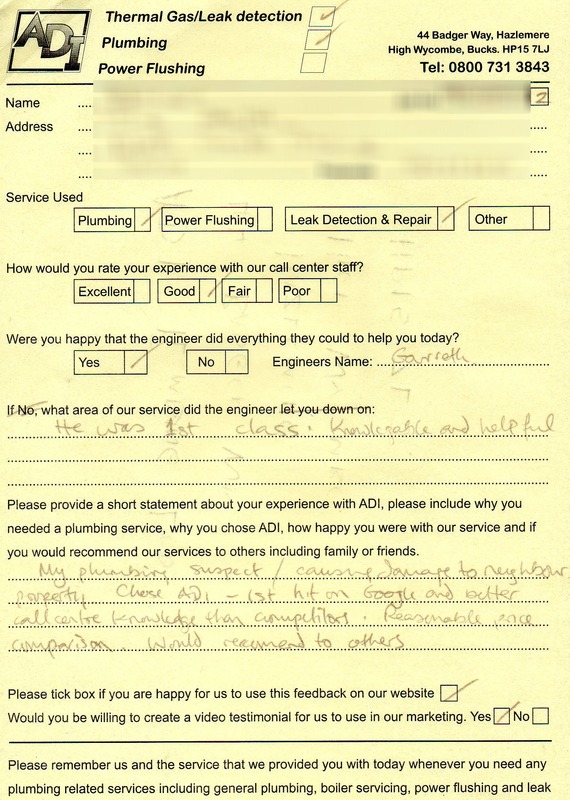 All of the above testimonials are verifiable.